We may still be in April but with the World Cup covering much of the cricketing summer this year, the Royal London One Day Cup begins a month earlier than normal and gets underway on Wednesday. With the Hundred coming in next year, there is talk that this will be the last time this tournament is played so prominently in the domestic calendar so there should be plenty of competitiveness about the event with that in mind. Hampshire won the title last year and are out to defend it one last time. The 18 counties are split up into regional groups – North and South. Each team plays the other eight in their group once in the first stage of the tournament and then when that has concluded the top side in each table progress straight through to the semi-finals. The second team plays the third in the other group in a pair of quarter finals with the winners going through to meet one of the table toppers in the semi-finals. The final is at Lord’s on Saturday May 25. Nottinghamshire have been one of the better sides in white ball cricket in recent times and they are expected to head the way in this group but they may not have it all their own way. Yorkshire will have a number of their England players available for much of the competition while Worcestershire ruled in the T20 last season and are capable of taking that form into the 50 over sphere. Lancashire are another team who will have England players at their disposal with improvements wanted from Durham, Northamptonshire, Leicestershire and Derbyshire. Warwickshire are the other team in the group. Hampshire will attempt to defend their title from this group and it is the section that includes the finalists from last season too in Kent. With Surrey looking strong with many of their England stars available this looks a pretty tough section. Essex usually go well in white ball cricket while Gloucestershire were winners of this tournament just four seasons ago. Sussex, Glamorgan and Middlesex have plenty of improvement in them while Somerset will be fancying their chances after a couple of years of knocking on the door. Worcestershire were the champions of the 20 over competition last season and the natural progression is for them to compete in this competition. To be fair to them, they have made the semi-final for the last two years and it doesn’t take much more for them to go a couple of steps further and win the tournament, especially now they have the taste for winning silverware. They have a powerful batting line up and excellent change ups with the ball. That is never a bad combination so at 14/1 they are my only outright pick in a market which is as skinny as the average skeleton. I’ll take a punt in the South Group on Middlesex to win it. I don’t need telling that they have been pathetic in one day cricket for far too long but for much of the group stage of this competition they are going to have their big guns Paul Stirling, Dawid Malan and Eoin Morgan available and Ross Taylor starts the tournament with them too. We’ve seen excellent pitches in county cricket this season already and I’m not expecting that to change over the next month with the weather that is forecast. Middlesex can be competitive with the ball and they look to have plenty of explosion with the bat. Often in this competition if you get off to a good start you can lap beaten runners in the second part of it. Middlesex look to have the players to do that and 12/1 might be a little big on them winning the South Group as a result. 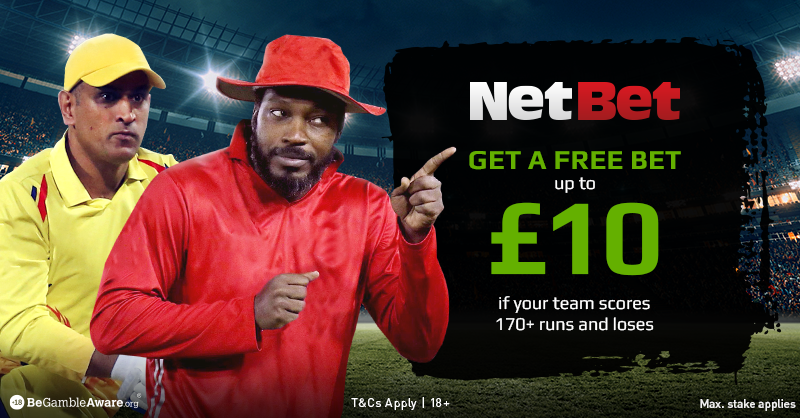 Be the first to comment on "2019 Royal London One Day Cup – Tournament Outright Betting Preview"